Make these cake pops for your Valentine’s Day celebration! It’s time to celebrate Valentine’s Day! As you get ready to celebrate with the people that you love, share a sweet treat with them. 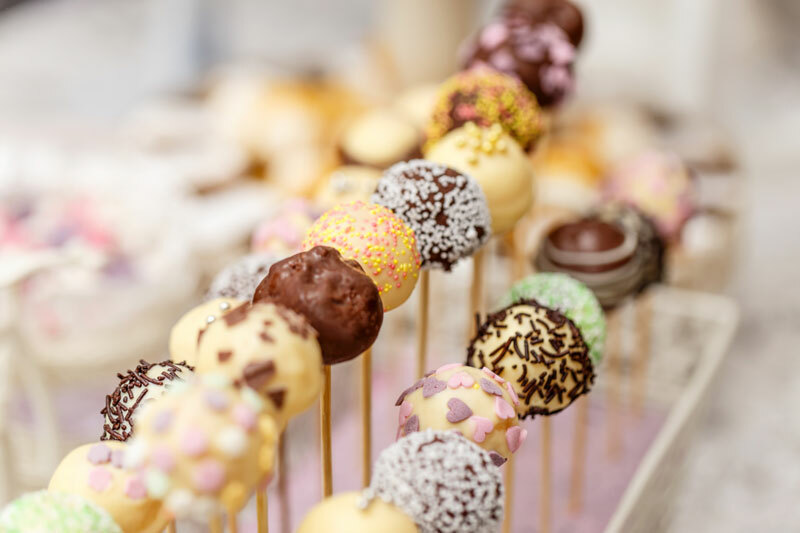 Try this cake pop recipe for a bite-sized sweet treat. Here’s what you’ll need to get started. Start by preheating the oven to 350 degrees F. In a large bowl, combine the sugar with the cream cheese. Stir them together until they’re smooth and creamy. Then add in the sour cream. Continue to stir until smooth. Next, add the salt along with the all-purpose flour and vanilla. Continue to stir until thoroughly mixed. Add the eggs one by one as you mix into the batter. Pour the batter into a pan and bake for about 50 minutes. Once done, remove from the oven and let it cool. Refrigerate for a few hours. Once the cake has been refrigerated, scoop out pieces of cake and roll them into balls. Once they’ve all been rolled, add in the lollipop sticks and freeze the pops for about a half hour. Remove the cake pops and get ready to coat them. Melt the chocolate and use the white confectioners’ coating to coat the cake pops. Keep your favorite toppings on hand to add. From sprinkles to coconut flakes, sprinkle or dip the coated cake pop into the topping. Place them on a sheet lined with wax paper. Chill until you’re ready to enjoy with your loved ones. Celebrate your Valentine when you give the gift of peace of mind. When it comes to your personal insurance, ensure that you’re choosing the right policies. For all your insurance needs, contact the professionals at The Schwab Agency, located in Colleyville, Texas.